AK-AIMH is a non-profit state wide organization and network of parents, multidisciplinary professionals and caring individuals developed to support the emotional health and well being of infants, young children and their families. We are devoted to strengthening relationships between infants, parents and caregivers. The caregiver-infant relationship is central to the healthy development of young children, and we are committed to the view that these relationships are influenced by the parent’s or caregiver’s actions and experiences, the infant’s characteristics and responses and the surrounding environment. Promote the importance of the social emotional well-being of infants and young children and their families in Alaska by strengthening and supporting those who touch their lives. AK-AIMH is widely recognized throughout all of Alaska as a thriving, highly-respected, well-resourced organization with significant demonstrated impact on those who support the social emotional health of infant, young children and their families. AK-AIMH is a member of the Alliance for the Advancement of Infant Mental Health®. 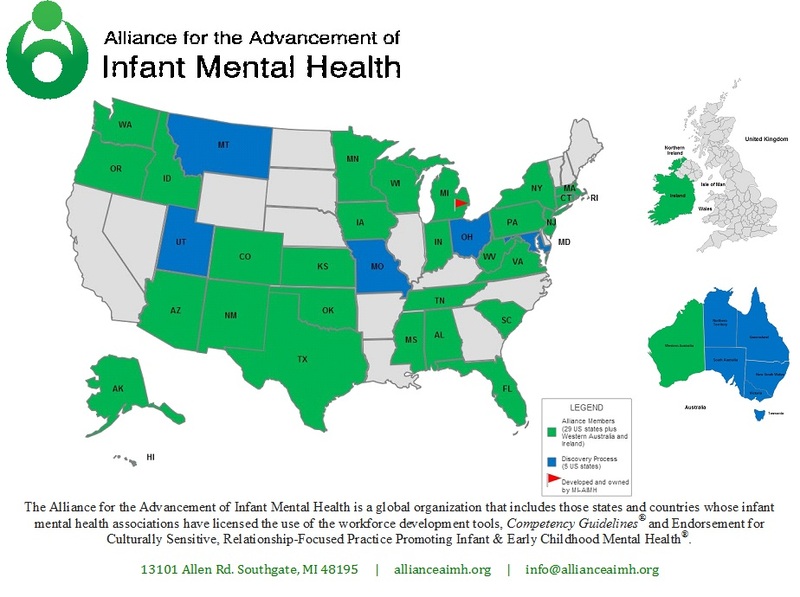 The Alliance is a global organization that includes those states and countries whose infant mental health associations have licensed the use of the workforce development tools, Competency Guidelines® and Endorsement for Culturally Sensitive, Relationship-Focused Practice Promoting Infant & Early Childhood Mental Health®, under their associations’ names. There are now 29 US states and 2 international associations for a total of 31 Alliance members.